The emergence of Bitcoin and the fast-evolving debate around cryptocurrencies has shifted many times in reach and focus since the mythic “Satoshi Nakamoto” birthed the world’s most popular alternative digital currency system in 2009. 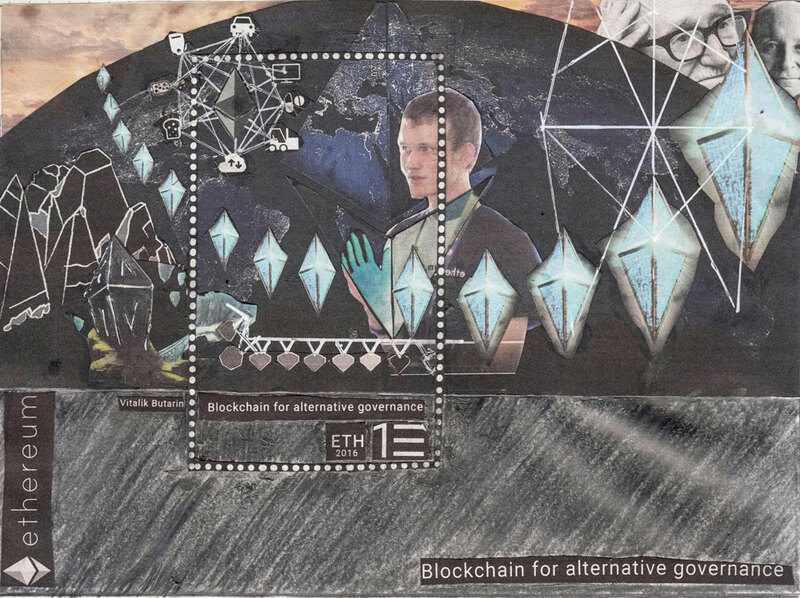 What first seemed like a proposal for a money payment method operating beyond national borders and banking sector control has now revealed itself to be the spark of inspiration for other alternative structures, networks, and systems beyond simply money and trade. For many entrepreneurs, journalists, thinkers, and artists, the blockchain has inspired strong conclusions about the evolution of economic liberalism and the future of nation states, oversight, planning, regulation, autonomy, governance, and other fundamental topics. The idea that computer code could replace laws through an incorruptible distributed network that everybody and nobody owns is a powerful idea. It has been a great model for dreaming dreams and telling a diverse and divergent set of new (and not so new) stories about how the world might organize in the future. Izabella Kaminska’s writing on the Financial Times blog Alphaville, often focusing on stand-out companies and visionaries like 21 Inc and Balaji Srinivasan, demonstrated to me the power of these stories. 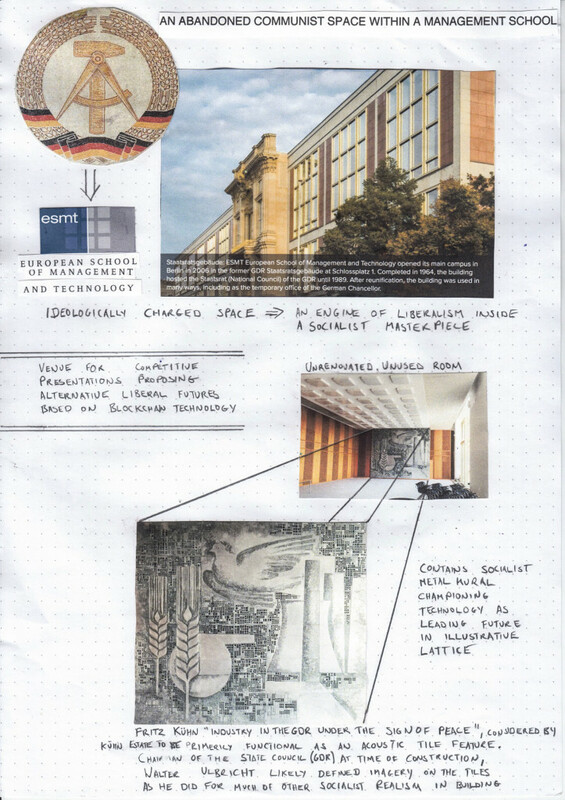 In the context of my presentation at the 9th Berlin Biennale for Contemporary Art, Blockchain Visionaries (2016) which aims to capture the essence of some of these inspiring stories, I am very happy to have her critical thoughts on the blockchain. She is one of the powerful voices that has contributed to this project of gathering and framing the promise and depth of the story of the blockchain. In the 1965 film Alphaville, French-Swiss New Wave director Jean-Luc Godard depicts a city-state governed to the extreme by cold-hearted logic and rational technique. In Alphaville, there is no why, there is just consequence. There is no future or past either, only present time. Emotion, failure, vagary are all banned. As is contradiction, poetry, and love. The technocratic dictatorship’s objective instead is to achieve the perfect organizational system. Alpha 60—the city’s central memory and processing system—represents the primordial role such an intelligence might play in a logic organization like Alphaville. A Gosplan 2.0, if you will (for those familiar with the history of the Soviet state planning committee). All day long Alpha 60 sets itself problems, many of which are too complex for humans to understand. When confronted by the lyrical minded Lemmy Caution, an undercover agent from the humanistic outlands, Alpha 60 declares to him that “the natural ambition of any organization is to plan all its actions. In a word, to minimize unknown quantities.” Essentially, to derisk. Alpha 60’s chief engineer tells Caution this is the reason no one ever says “why” in Alphaville, just “because.” “In the life of individuals, as in the life of nations, all is linked, all is consequence,” he explains. Unlike the residents of Alphaville, Caution understands that the essence of man is love, faith, courage, and tenderness. He looks upon the Alphaville citizens as slaves of probabilities. A technocratic ideal not dissimilar to that of termites and ants. That was the blockchain as it was then. But to explain what the blockchain has now become is a far more tangled story to tell. Oh to know what the mind of Jean-Luc Godard would have made of modern attempts to birth Alpha 60 by way of the brutal linked-up logic of something more commonly known as the blockchain. What is the blockchain? These days it’s not that easy to define. But the parallels with Alpha 60 are not insignificant. In its initial incarnation it was the term ascribed to the distributed ledger technology—or computer protocol—which powered the virtual currency Bitcoin and which created a means for the network to synthesize trust. In the beginning this was supposed to be a democratic system. Anyone could take part. All one had to do was download the rules of engagement and start contributing processing power to the network. The true state of accounts would then be ascertained by the gauging of public opinion through regular network plebiscites. Except . . . in an environment where voters were purposefully left unregistered for anonymity reasons, there also needed to be a mechanism to control for vote-rigging or system gaming. With Bitcoin, the solution came by way of a skin in the game process called “proof of work.” If you wanted your vote to count, you first had to contribute real-world energy to solving impossibly difficult cryptographic puzzles. This was tantamount to your down payment. Voters —also known as miners—were incentivized to crack these puzzles in the hope of winning claims upon the network, more commonly known as Bitcoins. To prevent a single entity from corrupting the system with multiple votes, the rules of engagement ensured that the puzzle would get harder—requiring more energy to be expended—the more miners there were. Only if the real-world value of the Bitcoin prize compensated for a miner’s energy costs would a profit be assured for the miner. In any case, the ledger—now held on the drives of all voting participants—captured a regular snapshot of where exactly value resided in the network and how much. And since the outcome of each vote was sealed into the former, and so forth, the resulting “chain” of transaction “blocks” was deemed an immutable public database—as pure and justified a version of present value as there ever was. What we know for certain is that powerful interests are keen to leverage the potential of a database system which, like Alpha 60, depends on brute force logic rather than subjective assessment to quantify what value really is. The real question is: for what purpose? 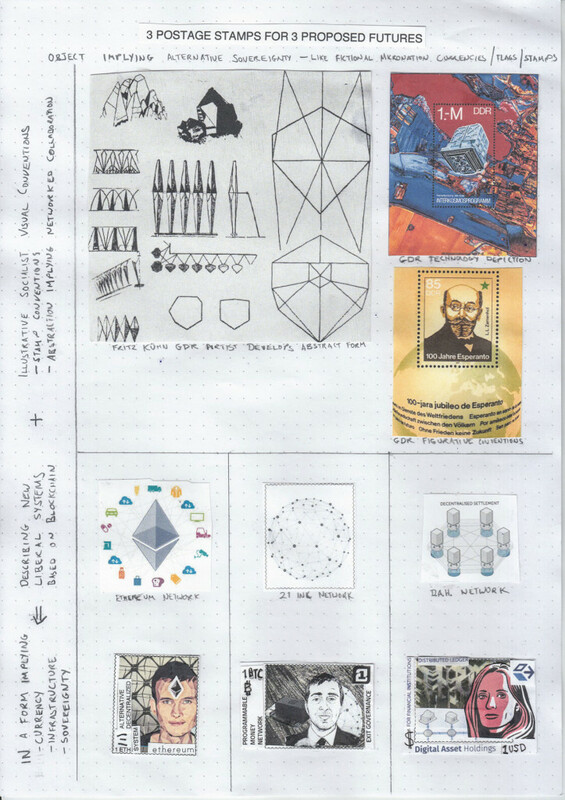 And cui bono from experimental blockchain projects such as Ethereum, 21 Inc, or Digital Asset Holdings that celebrate a system which never forgets? To understand this, we, like Lemmy Caution, must account for the relevant and subjective history of finance. First off, finance is and always has been the story of economic allocation, wealth rationing, and command economics. If markets are a voting machine for the goods and services of society, finance is the thing which determines who gets to vote and why. Less frequently observed is that finance is also the story of scaling, netting, and trust. The former amounts to something known in banking circles as a gross settlement system, while the latter illustrates something more akin to a netting process. Suffice to say, the latter is evidently quicker and more efficient on all fronts. Yet, it’s also more risky to the payer, who might have to wait a long time before being paid back, if at all. Hence, payment systems depending on netting processes invite credit risk into the system. Those which don’t, boot efficiency (and scaling opportunity) out. Taking risk on society’s behalf and managing it accordingly, however, is the way financial intermediators justify their existence. When done right, banks downsize these risks by vetting the networks they operate in (knowing their customers, their reputations, and how they are likely to behave) or by diversifying and scaling the ebb and flow of payments to ensure they’re never so one-sided that they are left exposed. When done wrong, they misassess behaviors and invite the sort of systemic imbalances which spur financial crises and panics. In that respect, banks balance the system’s need—for the purpose of economic planning—to assume that certain behaviors are set in stone against society’s desire to operate in a free system in which anyone can change their mind. Only when we understand that the right to change our minds, to act irrationally, to behave selfishly, or even to think paradoxically is the risk in the system, do we understand to what extent a financial network that eliminates all risk is also one that annihilates our liberty and our right to make mistakes at all. The current system is fragile, inefficient, and impossible to scale, all the more so because of its overreliance on liquid collateral (which is limited). Quid pro quo, the more the banking system nets and scales, the more it exposes itself to the risk of some people not behaving as anticipated. Equally, the less the banking system nets and scales, the smaller the risk, but also the less efficient the system and the greater the opportunity cost of not putting idle capacity to work. This undermines the very point of financial intermediation in the first place. Hence the holy grail for bankers was always a system which could reduce risk by tracking value from point, to point, to point—in the style of a waiter taking payments from diners sequentially—without giving up on the efficiency of a netting process. Not until the arrival of super fast computer processors in 1980s, which sped up the waiter’s ability to take payments sequentially, could bankers finally realize that dream. And it might have worked too, had the flow of payments in the economy been entirely predictable and synchronized, and had the roll out of computer-based processing systems not been so far spread that the relative advantages for the banking sector were minimized. With regards to the non-synchronicity issue, this was always a well-understood risk inherent to a gross settlement system—linked to the fact that a system which doesn’t tolerate credit, nuance, or risk must inevitably depend on the absolutism of cause and effect. Except, in a world of limited liquid funds that means any delay, jam, or gridlock in the transmission process, no matter how small—say because one of your fellow diners underestimated the size of the bill by just 10 pence—causes the entire payment flow to grind to a halt until the deficit is topped up. Furthermore, that’s irrespective of whether or not the deficit has landed in the lap of a property millionaire. What matters is simply the size of the liquid fund pool relative to the incurred obligations, which have to be cleared before the rest of the party can move on. Hence—to prevent these sorts of delays from freezing the payments network—central banks decided they would issue liquidity on tap to whomever demanded it, if this person had the necessary collateral. Our proxy (the distressed diner), in other words, would only have to show the central bank his property documentation, and his 10-pence-shortage would be waved through on the understanding that the shortfall was only temporary and would soon be settled with incoming funds from elsewhere. If this were not the case, the central bank would then have the right to the pledged collateral (i.e. the property), which it could seize and liquidate in the worst-case scenario. Yet rather than eliminate or control the risk as hoped, all the regime really did was transform credit risk into collateral risk, with banks incentivized to overvalue assets that could source them liquidity at zero cost to the bank. We all know how that led to the global financial crisis of 2008. What’s less well-known is how banks, totally unsure of the economy’s capacity to service monetary claims, turned towards independently verifying the receipts and outlays in the system themselves and hoarding liquidity until they could be sure it was really theirs to have. Cue the financial system’s obsession with blockchain. The current system is fragile, inefficient, and impossible to scale, all the more so because of its overreliance on liquid collateral (which is limited). It’s also incredibly expensive, because banks can’t trust anyone but themselves to verify and monitor the network, meaning a major doubling up of work (previously happily shared) and the incredible hoarding of idle spare liquidity on the off chance that the sums might be wrong. Meanwhile, going back to a netting process seems far too risky for a system which has grown used to the infallibility of real-time settlement. Small wonder that blockchain’s suggestion we can have it all suddenly looks exceptionally appealing—all the more so if it promises to reduce the risk of collateral overvaluation as well. One is the story of Balaji Srinivasan from the venture capital firm Andreessen Horowitz and the start-up 21 Inc and their belief that Bitcoin as it stands can replace the dollar as an international value benchmark, providing it becomes the key unit of account for micropayments in the global internet-based economy. What this vision neglects is Bitcoin’s inherent unscalability due to an overreliance on extremely energy-intensive processes as well as its tendency to shift power away from publicly accountable financial institutions over to entirely unaccountable and anonymous oligarchic groups. In a world where a vision such as 21 Inc’s dominates, there would be no scale or economic efficiency. There would arguably only be the opposite: network fragmentation, non-cooperation, and economic contraction. All the more so, as long as the chasm between the value of micropayments in the digital world and the value of large payments in the real world remain as large as it is now. The second is the belief that a private blockchain cartel has the power to achieve the level of synchronicity, standardization, security, and scale needed to keep operating within the current “de-risked” gross system, albeit without the same back-office expenditure burden or liquidity constraints which come with it. That is the story of Blythe Masters—a woman known for having already de-risked the credit market with the invention of the credit default swap—and her company Digital Asset Holdings. What this vision ignores, however, is that it’s not at all clear whether private blockchains can improve on the costs or efficiencies of the current system. Nor is there any reason to believe a blockchain will be any more successful at introducing a single rule kit of industry standards than regulators or governments have been to date. To the contrary, there’s every risk we end up with a system of competing cartel networks that can’t get along. Or on the off chance that they do, even in such a highly standardized, synchronized, and interoperable an environment, the predictability of the system exposes it to entirely new types of cyber security risk, which have not yet been conceived or accounted for by anyone. Last, it underestimates the challenge of capturing the entire financial system in one transparent ledger by ignoring the continuing incentive for parallel “off grid” banking networks to spring up in informal environments (like babysitting clubs) and in jurisdictions which offer safe harbor to dark networks and the black market. What all three arguably miss is that social systems will always and forever respond impulsively and unpredictably if their right to act irrationally is suppressed. The third story is based on the belief that adding Turing completeness to an economized version of a blockchain—which by and large resembles the prevailing gross value settlement system albeit with lower barriers to entry—can create an immutable record of pre-agreed commands, which given the right to self-execute without exception can organize society on fair and equal grounds. 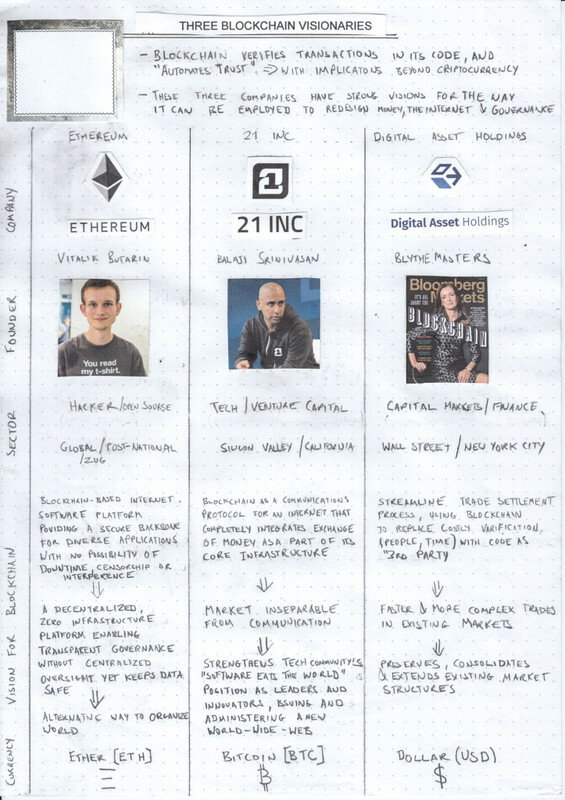 That is the story of the boy genius Vitalik Buterin and the smart-contract project Ethereum that he advocates. What it neglects, however, is that contract creation, whether smart or not, is entirely removed from the question of contract compliance or enforcement, for which legal process determines course. Also overlooked is the propensity for contracts to misbehave on oh-so-many grounds, from outright cross contradiction and poor drafting to the overreliance on the letter, not the spirit, of the law. Further neglected are our human capacity to change our minds, cases in which laws or agreements to be overruled on public interest grounds, or rare occasions in which individuals to find justifiable grounds to negate terms. And that’s without accounting for the risk of totally unpredictable events like natural disasters, wars, or fraud to unhinge economic allocation in a system which tolerates no mistakes, second guesses, or contract breaks. What all three have in common, as a consequence, is the erstwhile belief that if the ghost in the machine is shackled down—and thereby reduced to an entirely predictable element—all risk can be removed from the system, and this will eventually open the door to untold economic prosperity. What all three arguably miss is that social systems will always and forever respond impulsively and unpredictably if their right to act irrationally is suppressed. Indeed, as Lemmy Caution might point out, there’s not much point in economic prosperity, if the cost of the cornucopia is a world in which society is never permitted to act illogically at all.